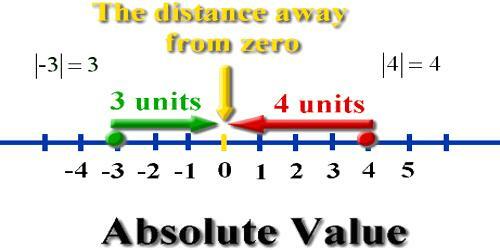 Absolute value describes the distance of a number on the number line from 0 without considering which direction from zero the number lies. The absolute value of a number is never negative. The absolute value of 5 is 5. The symbol for absolute value is to enclose the number between vertical bars such as |-20| = 20 and read “The absolute value of -20 equals 20”. Absolute value describes the distance of a number on the number line from 0 without considering which direction from zero the number lies. The absolute value of a number is never negative. 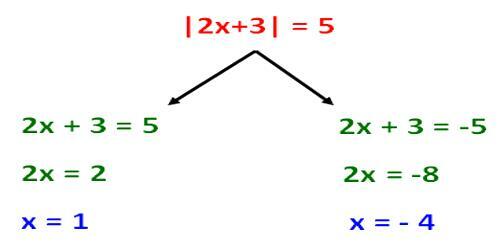 The symbol used to denote the absolute value is, two vertical lines (| |), one on either side of an integer. (i) |a| = a; when ‘a’ is positive or zero. (ii) |a| = -a; when ‘a’ is negative. What’s the value of -|-5|? We’ve got two negative signs and an absolute value sign. Let’s work our way from the inside out. Remember, anything inside those absolute value bars is positive. How to Divide Feet and Inches?